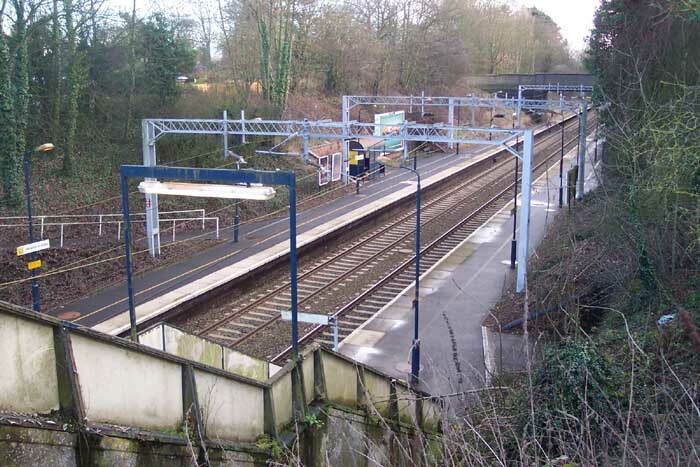 Firstly, confession time: the original Hampton-in-Arden station was opened by the London and Birmingham Railway in 1837 who merged with the Grand Junction Railway and the Birmingham and Manchester Railway to form the LNWR in 1846. 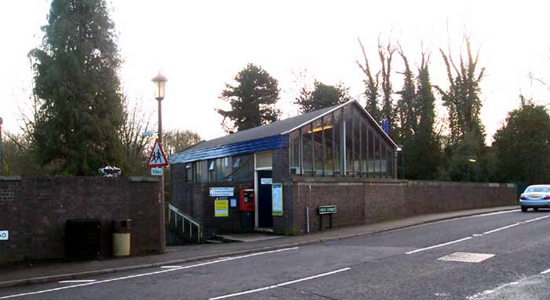 The old station building still stands on Old Station Road which runs off the High Street opposite the current station. 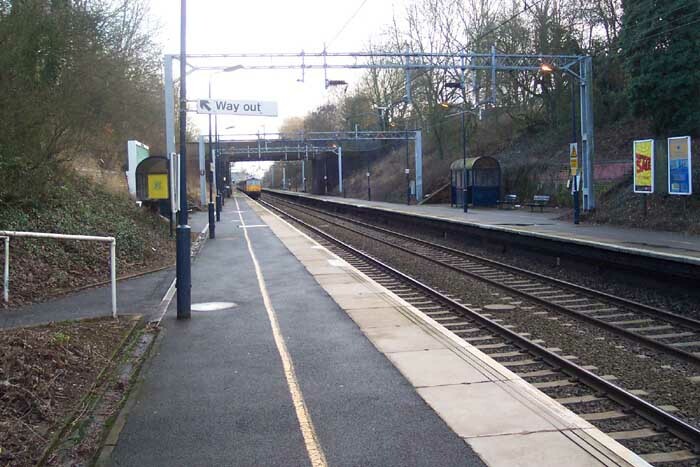 However, here we are concentrating on the current Hampton-in-Arden station which opened in 1884 a quarter of a mile along the track from its predecessor. 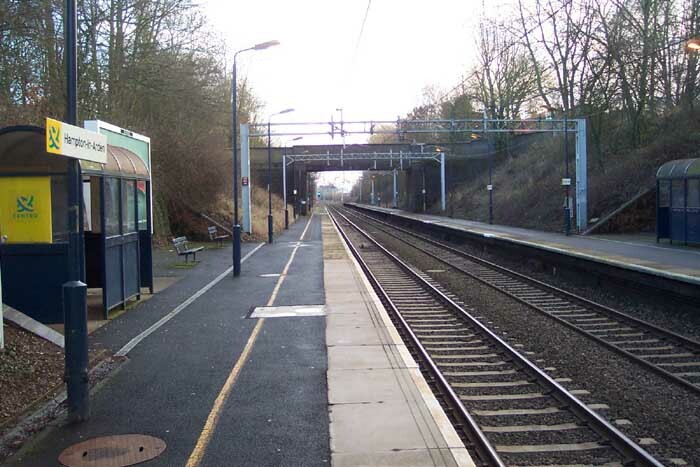 The keen eyed among you may also have noticed that according to the 'Regional Map' Hampton-in-Arden was at a junction of two lines however, the Midland Railway branch from Whitacre which opened in 1839 closed in 1936 and in any case it joined the line at the position of the original station. Now we've sorted that out - I think - above we can see the station building on High Street/Meriden Road: this building isn't an original feature. Station Road is on the other side of the station and there are a couple of gaps in the wall over the road bridge - one bricked up and one with a locked gate - which suggest earlier entrances to the station and the original booking hall was sited on the other side of the cutting from where the present one stands. Above-left we are looking through one such earlier entrance which is now locked-off and doesn't actually lead to any means of getting down to track level today. However, it does provide a good vantage point for viewing the station from High Street road bridge - we are looking in the direction of Coventry. Above-right we are on the Coventry platform and can see that facilities are sparse to none-existent with only a minute bus shelter provided on each platform. Above-left as nothing particularly grabbed my interest I walked along the Coventry platform to get a closer look at the bus shelter. Above-right we are looking at the Birmingham platform and the large cut-back in the embankment which does signify a previous structure of some sort being at that spot (or that the embankment is falling down) - Station Road is running along the top of the embankment. Above-left we are on the Coventry platform looking in the direction of Birmingham through the High Street road bridge. 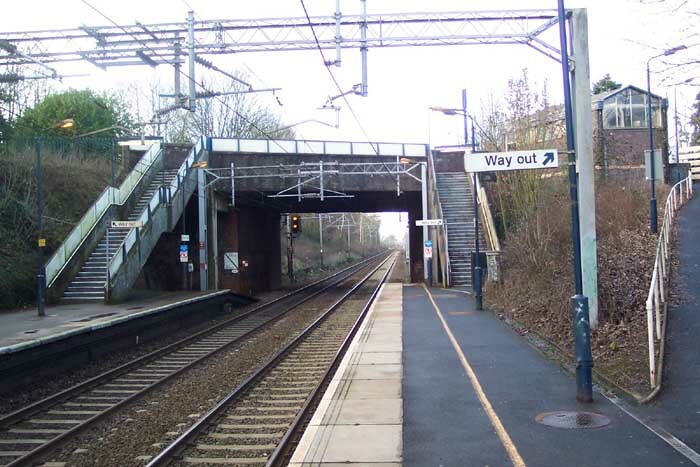 The entrance building and entrance pathway can clearly be seen ot the right as can the footbridge which actually emerges from the station building. 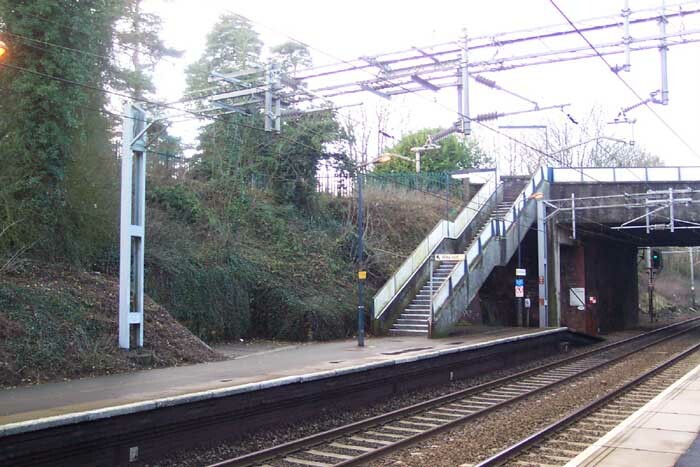 Above-right we see the base of the footbrige on the Birmingham platform marking the point where an original entrance linked road level to platform. Not a lot to say about this station, unless I'm missing something, although I did get the feeling that at one time something of interest may have stood on this spot.